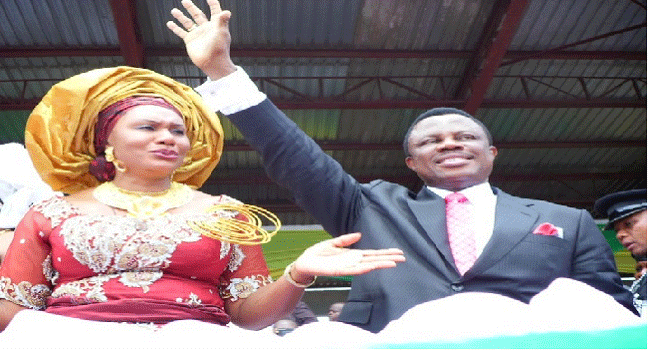 The Anambra State Governor has promised to tackle health illiteracy among women in the rural areas of the state. 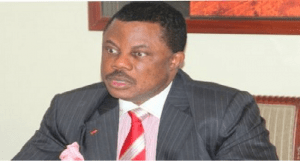 According to Governor Willie Obiano, the development is to ensure proper infant and maternal healthcare in Anambra State, south-east Nigeria. He made the declaration on Wednesday during the first round of the 2015 Maternal, Newborn and Child Health Week (MNCHW), at Ifite-Ogwari in Ayamelum Local Government Area (LGA) of the state. The MNCHW is a programme which gives mothers equitable access to a package of high impact survival and developmental drugs in a very cost effective manner. It also gives children access to receive routine immunisation against diseases as well as malarial drugs and nets. Governor Obiano captured the whole problem and tagged it to catching the girl child young and giving them the best of education in order to conquer maternal and infant mortality. 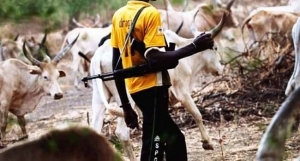 According to the Chairman of Ayamelum LGA, Paul Obiora, illiteracy and poverty contributes in major terms to the death of mothers and infants in the agrarian community. He decried that about 95% of the women are not educated, adding that the issues of health were not been taken seriously on grounds that they are mostly farmers. Responding to Obiora’s submission, Anambra State Commissioner for Health, Dr Joe Akabuike, used the opportunity to highlight the essence of antenatal care. Similarly, the Governor’s wife, Mrs Ebele Obiano, appealed to the women to have their children immunised as they are the future leaders of the world. In another development, a representative of the World Health Organisation, Dr Willy Onuorah, commended Anambra State Government for the giant strides it had taken in healthcare services which includes the area of maternal and child health, as well as upgrading the selected health care facilities in the state. He also urged mothers to take advantage of the free immunization and ensure that their children are taken to centres where the vaccines would be administered. The event came to conclusion with the Governor and his wife administering the polio vaccines to infants, as well as handing treated mosquito nets to mothers. The Anambra State Governor, Willie Obiano, has performed the ground breaking ceremony for the multi-million dollar Ekcel Farms Mechanised Agricultural Project sited at Omasi, Ayamelum Local Government Area. The project will focus on cultivation of Cassava and Tomato, with five per cent shares designated to Omasi community, ten per cent to Anambra State and another five per cent to the development of the community. The company would bridge the gap between Cassava production and consumption in the State while the Tomato refinery plant, to be established, would be the largest in Africa and first in Nigeria. While addressing the people, the Governor said that the project would generate over 13,000 direct jobs and over 100 indirect jobs. The project has an initial investment of 100 million dollars or 16.500 billion Naira. Under the project, Cassava would be processed into ethanol and starch. Governor Obiano said 90,000 tones of Cassava would be produced annually. The Chief Executive Officer of Ekcel Farms, Emeka Okwuosa, and the Chairman of Anambra State Investment Promotion Protection Agency, Cyril Enweze, said the Governor’s genuine commitment to transforming the State through his administrative blueprint was the attraction for investors especially in the area of security. The Governor flagged-off the project with the assurance that activities would commence immediately in the next 12 or 18 months. Governor Obiano said “when agricultural activities begin, 150 tones of Tomatoes would be produced annually”.